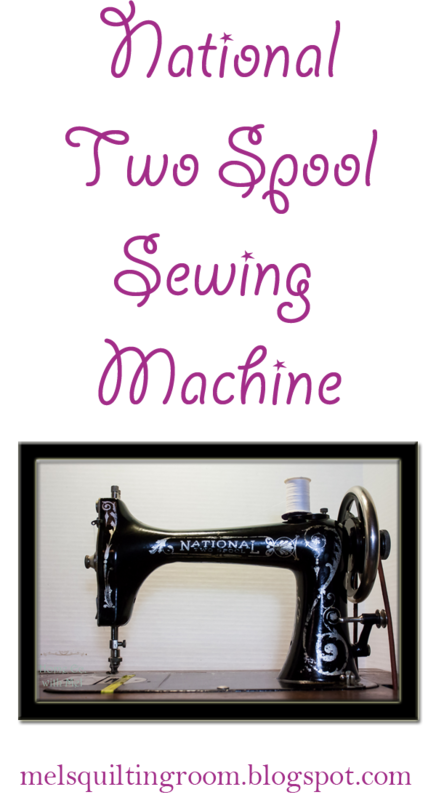 What does every quilter want for their sewing machine? A larger bobbin of course! I've seen so many quilters wondering why there isn't a machine that takes a whole spool of thread. The thing is, there is a machine that takes a whole spool of thread. 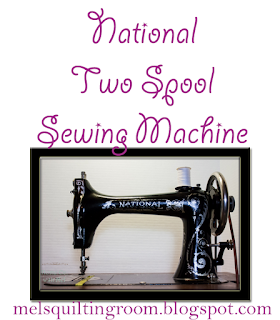 The Two Spool sewing machine made by National holds a size 50 spool in the bobbin area. Now, this size of spool isn't made today but you can refill them on the machine. Depending on who made the spool depends on how much thread it will hold. We have some that hold 150 yards of thread. A standard class 15 bobbin holds about 65 yards of thread. I don't show you how to refill the bobbin in the video. It takes a long time to refill it when they hold that much thread. If you need help doing that let me know and I'll make a quick video covering that.